We were the first customers of this brand new escape room setup and were very excited to try their “Black and White” room which sounded completely different. And boy, was it hard!! The puzzles were challenging and some we hadn’t encountered before. 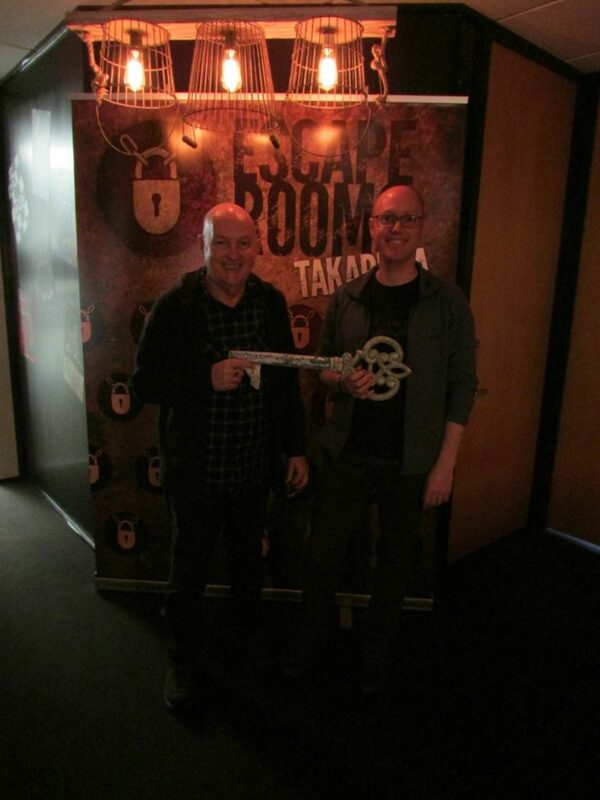 Dubbed as one of the “purest escape rooms on the market” everything in the room was black and white which was quite clever. The game master(s) were very enthusiastic and most helpful with clues, especially as at times we thought we would never escape. We did have a bit of luck with one of the locks as we fluked a combination that we later solved! Clues are provided via walkie talkie and you enter the room blind folded which all adds to the suspense of the game. We think we could have tackled it better as we tended to get taken off on tangents but it’s all part of the experience. We thoroughly enjoyed the experience and despite having an appalling time, we can say that we hold the record for the room! One of the benefits of being the first team to play I guess. We are keen to play more of their rooms as they are very professional and well set up.